Dress down does not necessarily have to be drab and dull! Zalora offers a wide selection of casual wear that caters to the young and the hip. From hipster hoodies to ombre shirts, joggers in all kinds and colors, plus the perfect snapbacks and sneakers to match, you never have to worry about dress down Friday ever again. Whether you’re heading out to watch a basketball game or getting a beer with friends after a day at the office, casual wear is a must-have in any man’s closet. 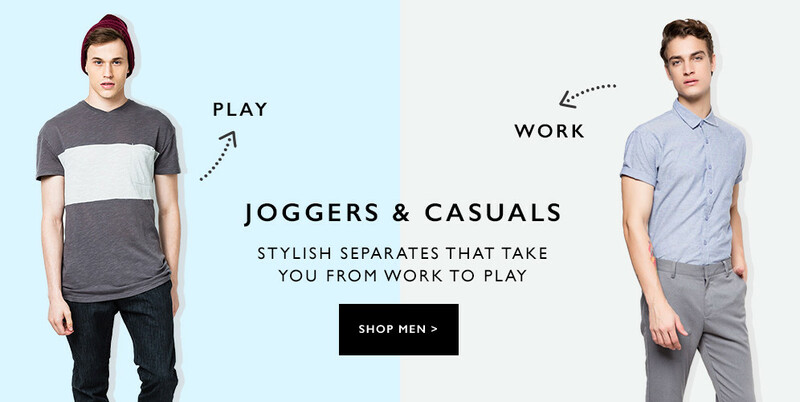 The perfect pair of joggers, a nice sturdy sneaker can make (or break) any look. When you lose the tie and you’re out of your slacks, it doesn’t mean you have to lose the cool as well. At Zalora, comfortable is cool and casual can be classy. With just a click of a button at the convenience of your own home, treat yourself to an unmatched Zalora experience by having your next incredible outfit delivered right at your doorstep. With Zalora, you get the best products at the best prices, minus the hassle!